Unhappy with your current CRM solution? You’re not the only one. 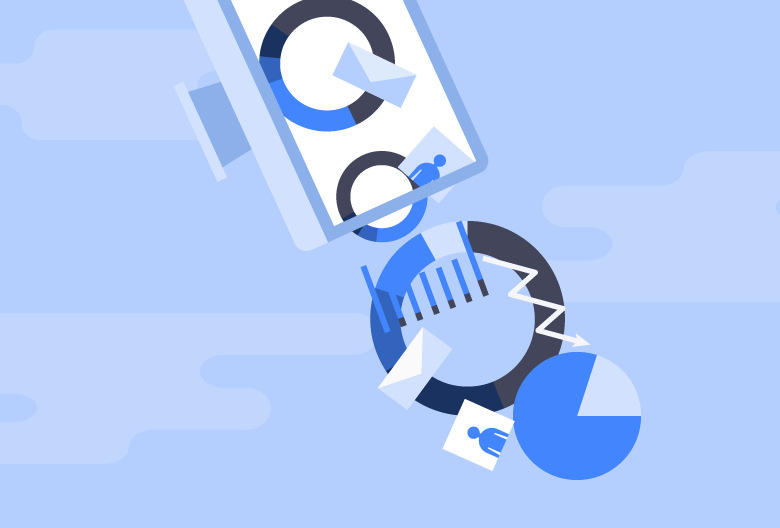 An unfortunate number of sales teams use CRMs that aren’t quite right for them – which means they aren’t seeing the positive ROI they need to justify the cost. Maybe there are too many complicated features that your team doesn’t know how to use or you can’t customize reports the way you want to. Or maybe you’re simply using the wrong platform for your business size and goals. Whatever the case, there are plenty of reasons you may want to switch CRMs. Not sure if your team needs a change? This article will help you spot the signs you should look for and make the transition as smooth as possible if you do decide to switch. But first, why does it seem like so many people are miserable with their current CRM? Why Do So Many Sales Reps Hate Their CRM Tool? It requires too much data entry. If your CRM doesn’t capture data from email conversations and auto-update customer information, you’re probably spending too much time on manual data entry. It offers a poor user experience and is complicated to navigate. There’s a steep learning curve. If a CRM takes too long to figure out how to use properly, it’s wasting your time and likely causing more problems than it solves. The system is too rigid for real-world sales cases. A good CRM allows you to create multiple paths and pipeline options to support different types of leads. It doesn’t integrate with your sales stack. You need a CRM that works well with the other tools and platforms your team already relies on to make sales. It generates confusing reports with a lack of insights. It’s great that your platform tracks and reports analytics, but it’s not so great if those reports are difficult to interpret. It’s designed for management, not for sales reps. If the platform’s primary function is tomonitor sales activity, it’s likely not going to make it easier for reps to do their job well. Using the wrong CRM can cause a whole slew of problems that you might not even realize are related. 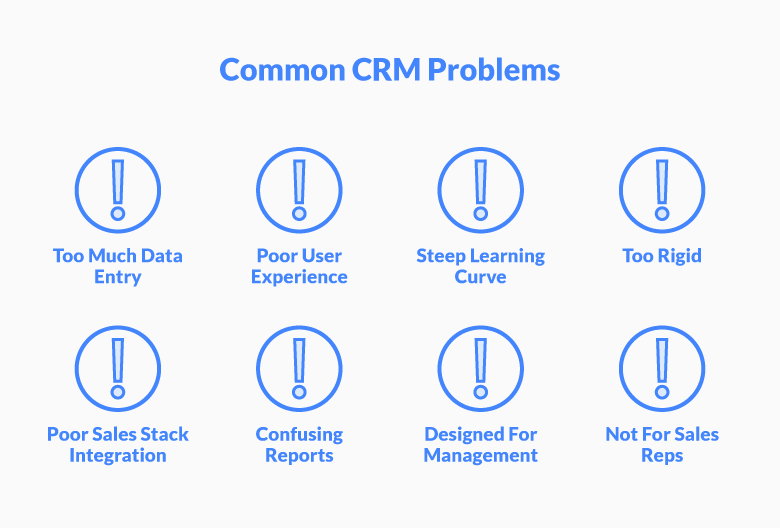 If you notice any of these warning signs, there’s a very good chance your CRM is to blame – which means it’s time to look for a replacement. Keep an eye out for these signs that you should switch CRMs. If your sales team is always on the move, your CRM needs to be mobile. Access should be easy and seamless across every device, whether you log in on your phone, laptop, or tablet – even if you’re working offline. This comes back to the issue of too much data entry. If you find yourself constantly entering and updating customer information manually, you’re wasting your time and not using the right CRM. Have you ever sent a cold email that turned out to be less cold than you thought - as in, another rep on your team is already selling to the recipient? If so, your CRM is failing you. An effective CRM platform should make it easy to share knowledge, streamline communication, and enable you to provide a consistent customer experience across all touchpoints. There’s nothing worse than losing a potential customer because you forget to follow-up. The more opportunities you have going at once, the more important it is to have a robust CRM that can keep track of them all. Your CRM should make it easy to see which accounts your team members are working on and create automatic follow-up reminders, so you never miss a chance to follow-up. 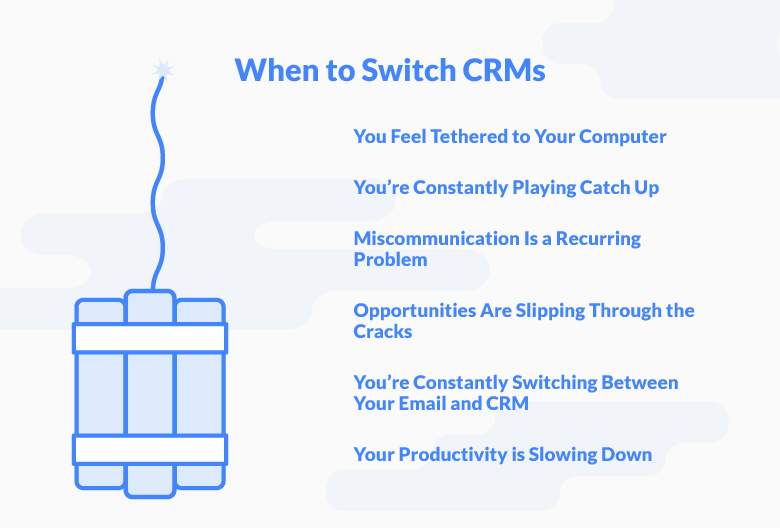 If you’re constantly flipping back and forth between your email client and your CRM, then your CRM tool isn’t a great fit for your workflow. Newer CRM tools are built to integrate smoothly with a range of third party applications. For example, Propeller is built for selling directly within Gmail. Outdated technology can slow you down in more ways than one. If you’re using an older CRM, you might not receive regular developer updates – which means your system will struggle to keep up with newer operating systems and might not integrate with newer apps and tools. If you’re getting anything less than a killer return on your investment, you’re not using the best CRM for your team. Does it feel like you’re paying too much for too little in return? If your CRM isn’t freeing up your reps’ time so they can focus on sales, you’re missing out on one of the biggest benefit of a CRM. 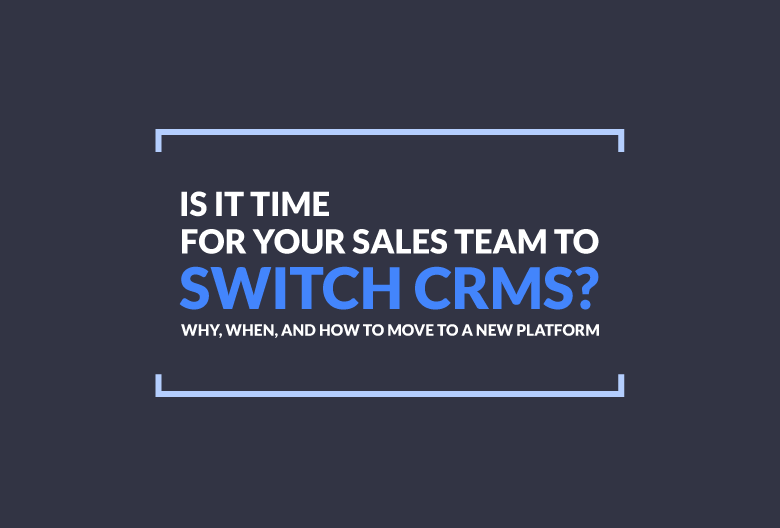 Now that you’re ready to make the leap to a new CRM, there are a few things you can do to make the switch as painless as possible. Follow these four steps to ensure you and your team have a smooth transition to your new CRM platform. A smooth transition from one CRM to another requires total buy-in from your sales team. That means your reps need to be aware of, involved in, and excited about the switch. Otherwise, you’ll struggle to convince them to use it. So, before settling on a new CRM, ask your sales team for input. Find out what features they absolutely need, what the current solution is lacking, and what their dream CRM would include. Taking the team’s opinion into consideration when choosing a CRM will make it much easier to sell them on the benefits of the new system. Just make sure you frame the benefits in the context of making sales, not from the perspective of monitoring rep activity. Next, you need to get your customer data cleaned up and ready to import to your new system. Start by collecting everything you need – like contacts, customer data, and any related documents – and keep it all organized in an easy-to-access file. Make this process as easy as possible on yourself by standardizing how you name and format data. You should also create a list of all the login credentials you’ll need to import contacts and data from your email marketing software or any other third-party platforms you currently use. Before you begin migrating your data, take this opportunity to examine your sales pipeline to see if it can be improved or streamlined in any way. Ask your reps to review where each of their leads are in the pipeline, remove dead opportunities, fill in any missing data, and ensure everything is as accurate as possible. Signing up for a trial gives you a chance to test drive the product and make sure it fits your needs before committing to a subscription. So, once your data and sales pipeline are both cleaned up, it’s time to import your customer data into your new CRM platform. Then you can start using it to see how well it meets your needs. Play around with each feature and get comfortable with the workflow so you get the full experience. Make sure you choose a CRM that offers a free trial period for new customers. For instance, Propeller gives you and your team 14 days to try out the platform – no credit card required and no strings attached. Want to find out why Propeller is the best Gmail CRM for modern sales and marketing teams?